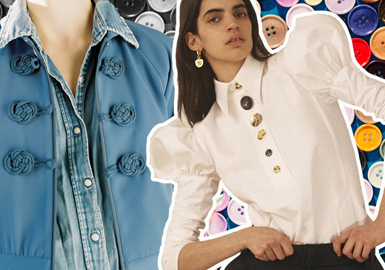 As an important part of fashion, button is small but tells fantastic stories. Used as a key accessory, button is not only functional, but it becomes more creative and artistic. 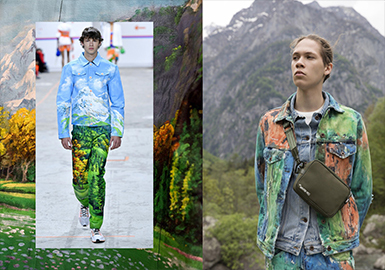 As athleisure style prevails, men's denim moves in a youthful and chic direction. 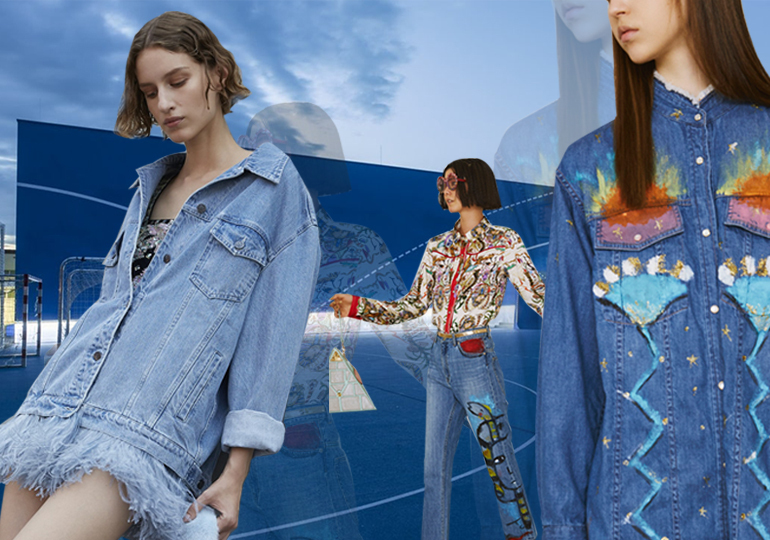 Landscapes, unconventional letters, checkerboard patterns and faded effects add statement to denim fabrics, favored by young customers. 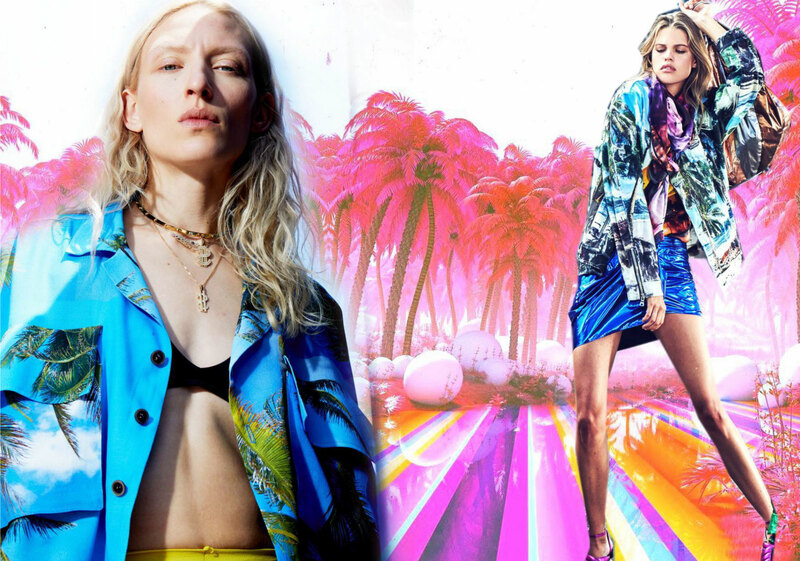 Look to the summer City to Shore lifestyle, a key emerging trend, while amplifying its beachside message with fabrics printed with youthful and fun palm trees, coastal scenery or streetscape. 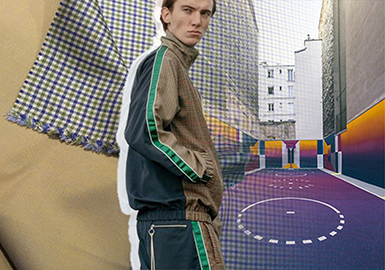 Streetwear and activewear employ printed materials, delivering a 1980s surf rock touch. 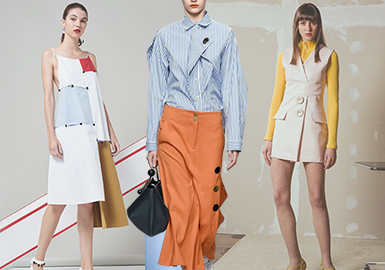 Retro pastels are met with bold, sunset primary colors and ocean blues, giving a high street twist. 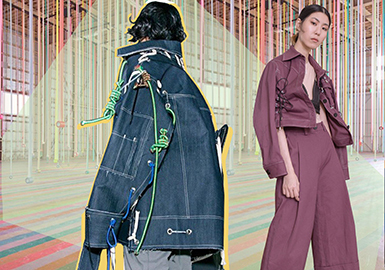 In the midst of ample accessories in the commercial denim space, a new wave of decorative denim comes to the fore for S/S 2019. 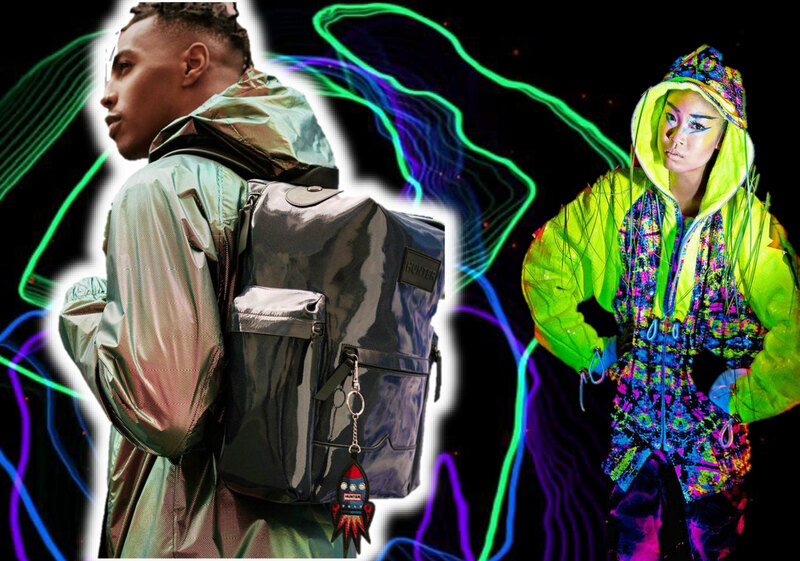 Simple surfaces apply embellishment, and retro styles prevail, working for women's markets and having already appeared at brands and street level. 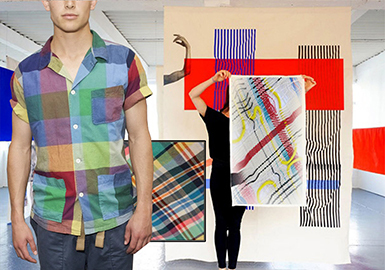 Bold hand drawings, checks, embroideries and offset prints enliven cotton and linen fabrics in S/S 2019. 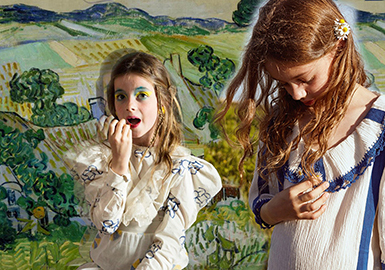 Pastoral ditsy flowers and fun animals are printed on fabrics. Recycled yarns and fabrics are sustainable, good for kids' health. Stylish laces reveal a pure aesthetic in summer. 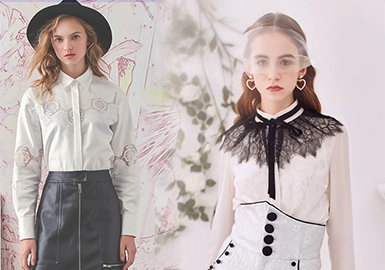 From pieced items, retro decorations, causal collars to delicate ruffles, laces deliver a soft, romantic and saucy feel. 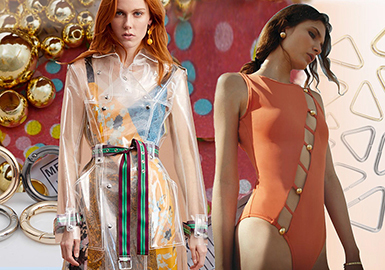 Metal fastener is important for swimwear, the beaded and buckled fasteners are trending in this season. 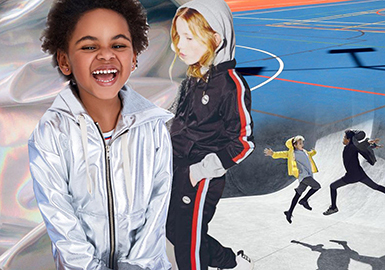 The sportswear fabric in 2019 S/S conveys an individual and youthful message, with emphases on fun, creativity, aesthetic and self-expression, which is in line with the growing keep-fit fever. Bold hand drawings enliven fabrics. Repeated cute animals, fruits and vibrant polka dots make statement. Natural materials such as cotton, linen and silk work as base textiles, while recycled yarns and fabrics are sustainable. Generation Y, known as the Millennials, is driven by the new generation's desire to be unique and to make a splash in the uproarious times. 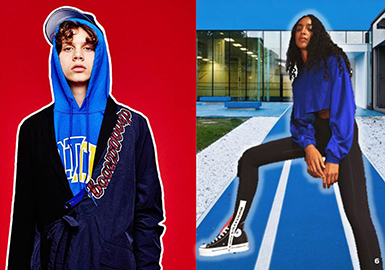 The striking silhouette, colors and style can perfectly express their fashion attitude, which means the bold and individual designs alongside the random playful monogram are emphases of Generation Y. Traditional shirting with geometric patterns is refreshed to make statement, featuring soft and bold colors. 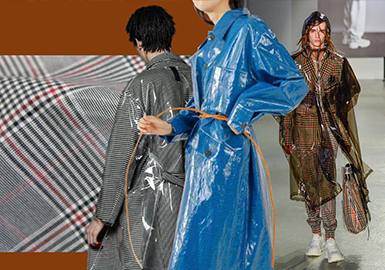 New crafts and materials emerge, bringing newness to fabrics with polka dots, stripes and checks. Lace fabric continues to influence the underwear, with exquisite silk fabric giving a touch of romance. 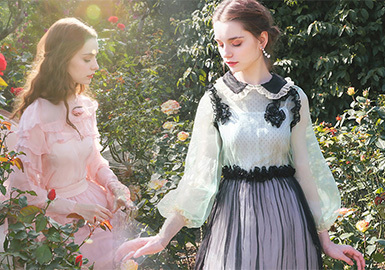 The tulle is gaining momentum , and colorful tulle crates a dreamy world. Meanwhile, the skin-friendly knitted underwear is still emerging. Romantic designs provide an elegant direction for summer assortments. 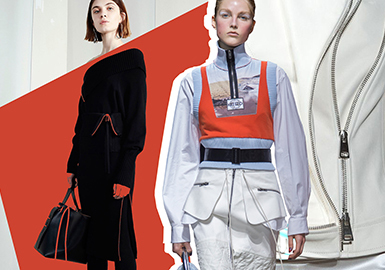 Strings become important accessory in this season thanks to its great practicability and creativity, using other accessories and techniques to create striking visual effect and highlight the overall look. 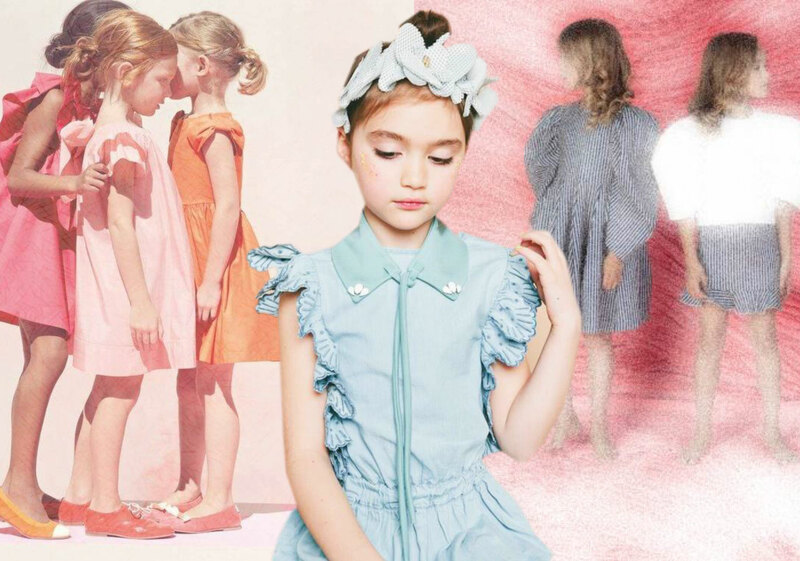 The theme emphasizes healing and caring, the designers show their love and care for children with their own designs, nature elements from elegant colors and romantic flower graphics are applied to the kidswear. 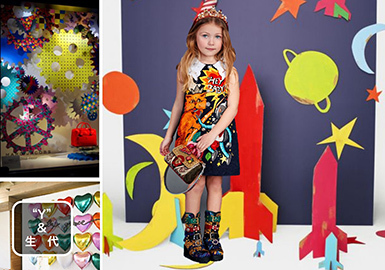 Jacquard fabric，loose patterns and blending tweed are all relevant for kids ,lending an innocent and playful message. Techniques including embroidery, needling, splicing and applique add a casual twist to the styling, Which is in line with the theme. The accessory of zippers and buttons are to connect the cutting pieces of garment. 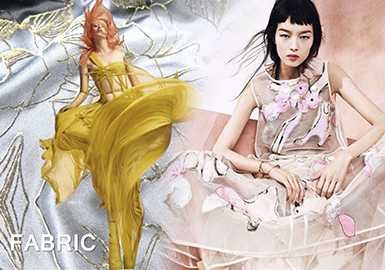 Designs play with different renditions to update looks in this season,bringing both functional and decorative designs.